The Arlington sexual assault suspect is still on the loose, and police said he tried to enter another building before he attacked a woman inside her own home. The concierge at the first building turned the suspect away, police say. 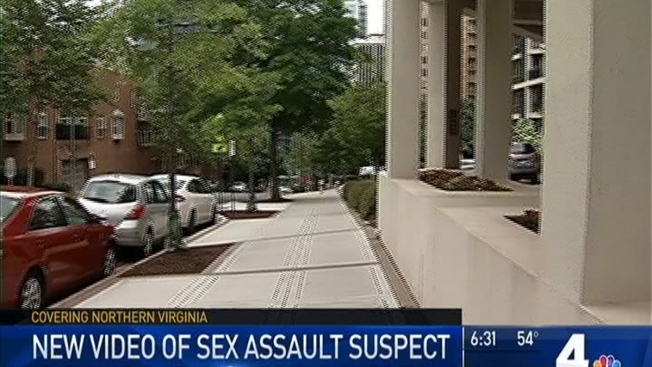 Arlington County Police released video Friday morning that shows the suspect try to enter a building on the 1900 block of Wilson Boulevard, about a half-mile west of where he knocked on a woman's door Sunday morning, said he was a maintenance worker and then attacked her. 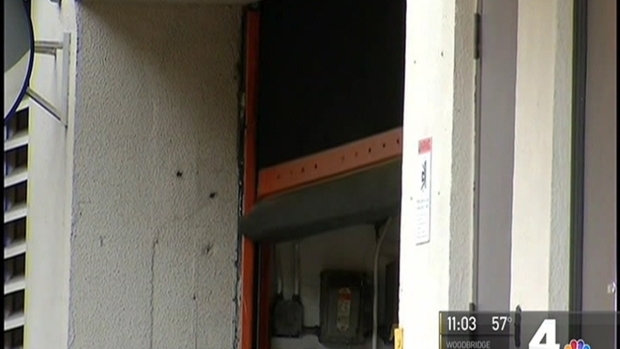 The new video shows the man walk through the exterior door of a residential building and then stride to the second door. It's locked. He paces between the doors, appearing to look at his cellphone. After about a minute, a woman walking a dog walks through the exterior door. He appears to hold the second door for her and try to follow her into the building. She ends up walking behind him. He's shown on video talking with the concierge, who refused to let him in, police said. The man looks at his phone, appears to make a call and then leaves. He attacked a woman in The Atrium building at 1530 Key Boulevard. A man entered the building about 9:45 a.m. and knocked on every door on one floor, claiming to be with building maintenance, police said. When one woman opened the door, the suspect struggled with her and then sexually assaulted her, police said. Police received multiple 911 calls reporting sounds of a violent struggle. The man fled the building but returned, according to security camera images and police sources. Security video shows him in a glass-walled elevator appearing to panic. He claps his hands to his face and then throws them into the air. "We believe that he was reacting to us arriving on scene," police spokeswoman Ashley Savage said. Police described the suspect as a black male in his early 20s, about 6 feet tall with a slim build. 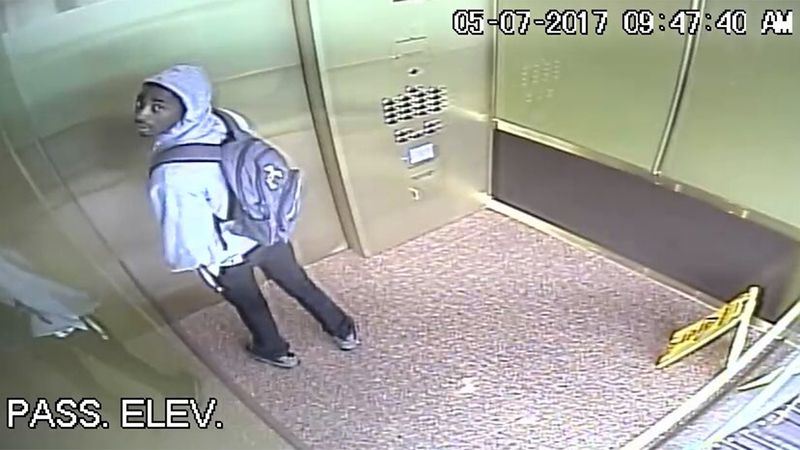 He was wearing a gray hooded sweatshirt with dark pants and carrying a backpack. Anyone with information should contact Detective P. Pena of the Arlington County Police Department's Special Victim's Unit at 703-228-4183 or at ppena@arlingtonva.us, or contact Arlington County Crime Solvers at 866-411-TIPS (8477) if you want to remain anonymous. If you believe someone is following you into your building, do not allow them access or confront them, Savage said. Call 911 if you believe you're in immediate danger. CORRECTION: The story originally listed the location of the latest entry attempt at Key Boulevard instead of Wilson Boulevard.